The SUV will compete with Jeep Compass and Hyundai Creta. 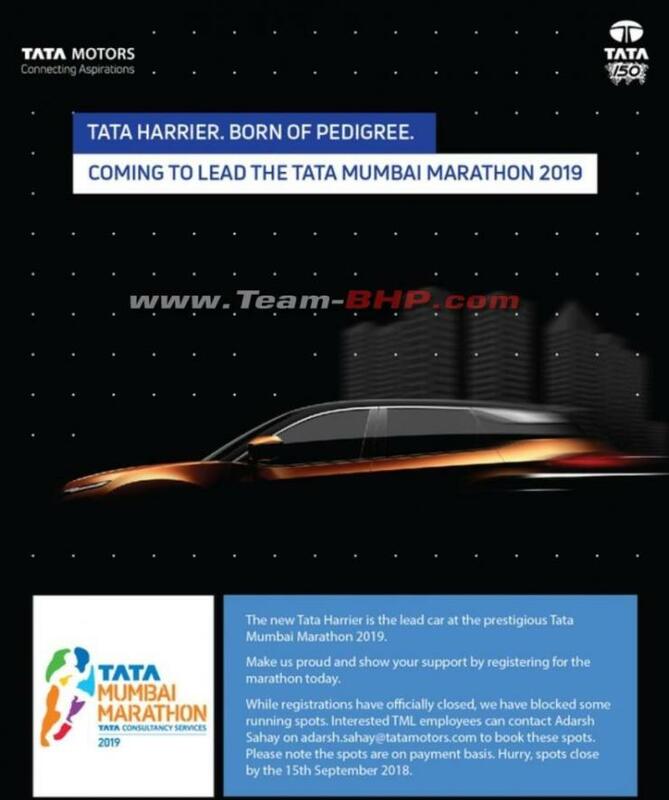 Tata Harrier, the production version of H5X premium SUV concept, has been designated as the lead car for the Tata Mumbai Marathon 2019 which is scheduled to take place on January 20. This means, the new Tata SUV could use the prestigious event to make its world premiere. Based on a modified Land Rover platform which now goes by the name OMEGA, the Harrier will be the Indian automaker’s new flagship offering, positioned above the Hexa. The 5-seater premium SUV will be locking horns with the Jeep Compass and Hyundai Creata. Tata is also working on an extended version of the Harrier which will pack three row of seats. This 7-seater is expected to hit the market roughly a year after the Harrier. 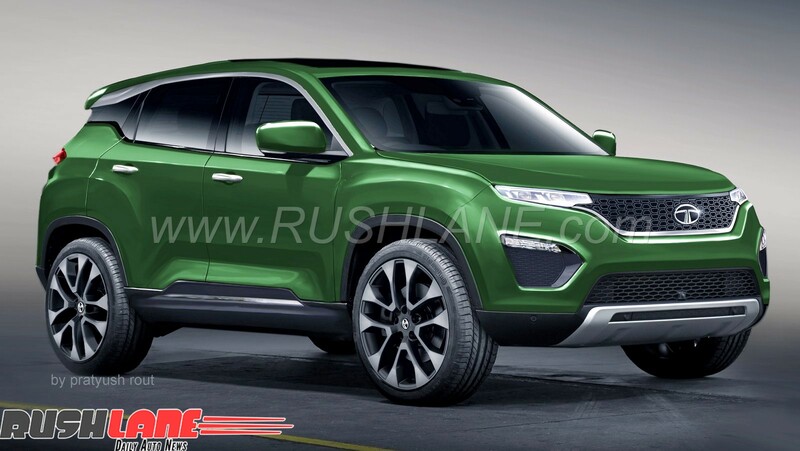 Render of launch ready Tata Harrier variant. While the platform is derived from Land Rover, the engine is sourced from FCA. The Fiat 2.0-litre MultiJet II four-cylinder diesel engine which also powers the Compass will be serving the Harrier and its bigger sibling. The motor is expected to have a unique state of tune for the Tata products. A 6-speed manual transmission will be standard and a 6-speed torque converter automatic unit will be offered as an option. While the entry-level variants make to with two-wheel-drive layout, the fully loaded variant will come with all-wheel-drive capability. Starting from the Tiago/Tigor twins, Tata Motors’ efforts to achieve a turnaround is inching steadily in the right direction. The brisk selling Nexon crossover which recently outsold the Ford EcoSport has offered the much needed momentum to the company’s new strategy. The Harrier and it’s 7-seat sibling are tasked with bringing back the lost glory and establishing Tata in the highly lucrative premium car segment which is flourishing in India. The Tata Harrier range is expected to undercut the Jeep Compass which itself carries aggressive pricing. The 7-seater will take a shot at the likes of Toyota Fortuner, Ford Endeavour, and Skoda Kodiaq with lower price as its USP.